This period saw us occupied in bringing a variety of things up to date including, dental checks, health checks,car service check and generally doing any jobs or administration work that had been needing attention. One major reason we delayed returning to our travels was that HLK (our eldest) was due to have a consultation and then an op and we wanted to be around to lend support. Anyhow,by 15.05.2012 we had flown out to Bangkok, stopping at the Korbua House Hotel.The primary reason that we had gone back to Thailand was that during our last trip we didn’t get to see the islands further south. 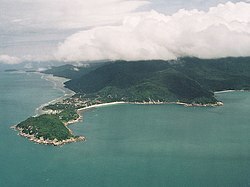 Those being Ko Pha Ngan and Ko Samui on the east coast and Phuket,Pipi and Krabi, on the west side. I prefered the east coast resorts rather than those on the west, although this could be a function of my age! I’m afraid that those resorts on the west coast though tolerable, were really in the throes of passing their “sell by” dates. By 12.06.2012 we had visited the islands that we had planned on seeing in Thailand and had crossed the border into Malaysia with the intention getting out to Banda Aceh on the northern tip of Indonesia. We flew from KL to Medan on the Indonesian mainland. Ever since the December 2004 tsunami and those heartrending pictures of the devastation one wondered how the population and infrastructure had recovered.